Biofouling organisms on vessel hulls. 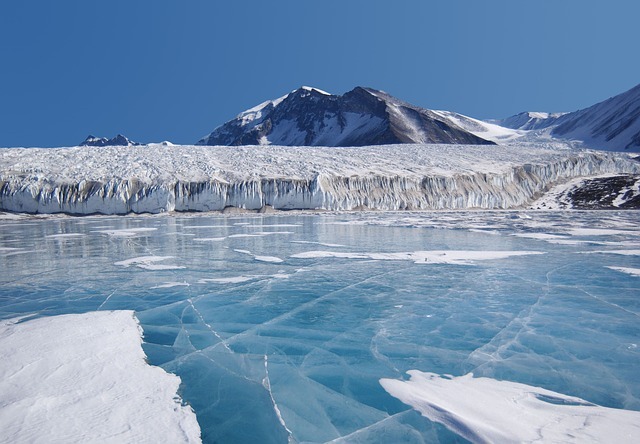 An increasing risk of introducing invasive species to the Antarctic. Recently, a study was published in the Aquatic Conservation Journal on vessel hull biofouling. It shows biofouling as a vector for introducing invasive species to the Antarctic marine ecosystem. This study is one one of the few that describe marine non-native species in the Southern Ocean and near-shore waters around the Antarctic continent. The study was conducted by Dr. Kevin A. Hughes from the British Antarctic Survey (BAS) and Gail V. Ashton from the Marine Invasions Research Lab of the Smithsonian Environmental Research Centre (SERC). In their study, the Scientists warn: Increasing ship traffic volumes and declining duration of ice in waters in the Antarctic can increase the risk of non-native species introduction. One of the significant factors for the introduction of invasive species to the Antarctic are biofouling organisms on vessel hulls. In their study the scientists assessed the presence and extent of hull fouling organisms, and evaluated in particular the scouring effects of sea ice. Biofouling is as a result of the growth or activity of living organisms on artificial substrates, such as vessel hulls. Aquatic species are carried across the seas attached to the outside of ships. It is a well know pathway for introducing invasive species. Alone in the United States, the associated damages and costs of controlling aquatic invaders are estimated to be $9 billion annually. More importantly, the introduction of invasive species to new environments has been identified as a major threat to the world’s oceans and to the conservation of biodiversity. Invasive species are recognized as one of the greatest threats to the ecological and the economic well-being of our oceans and seas. Specifically, the Antarctic marine ecosystem is unique and isolated. Especially the Antarctic marine benthic environment contains some of the most diverse habitats on Earth. Due to its uniqueness and isolation, it shows high levels of endemism. Therefore, it is highly fragile and susceptible to the impact of invasive species. What do the scientists suggest? Biofouling management standards have been adopted by IMO in the Guidelines for the control and management of ships’ biofouling to minimize the transfer of invasive aquatic species’ through the MEPC in July 2011 (Resolution MEPC.207(62)). But the scientists note that “the guidelines contain no specific measures regarding fouling management in polar locations”. They underline the importance of simple and cost-effective mitigation measures to both Arctic and Antarctic environments. Furthermore, they highlight for the development of appropriate regional and international management responses, there is a need to better quantify the risk of marine non-native species introductions posed by vessel hulls. STORY SOURCE: The above post is written mainly based on materials published in Aquatic Conservation Journal. Note: Materials may be edited for content and length. PICTURE SOURCE: Pixbay featured image and media within the article.